For decades, healthcare organizations have treated prospective patients and the community to special events and open houses to acquaint them with their facilities. But today, virtual tours are re-creating these physical visits with online virtual tours that introduce prospective patients to the facility, services, and staff. Virtual tours provide much greater convenience and access for distant patients, as well as being helpful healthcare marketing tools. HealthLeadersMedia.com shared how three progressive hospitals are letting people experience their facilities with a quick visit to a digital device. The Cincinnati-based Christ Hospital Health Network recently created the region’s first 3D virtual tour of its new standalone surgical center before its official debut. The organization hosts these tours on a special website that’s viewable via desktop or mobile device. The tour allows consumers to navigate through the center’s lobby, exam rooms, and operating rooms. They can also view videos about the hospital’s many services and the overall patient experience. A similar virtual tour is offered for the hospital’s breast center, which educates prospective patients about the facility’s medical technology and displays physician videos. These virtual tours are fast and easy to load and navigate. 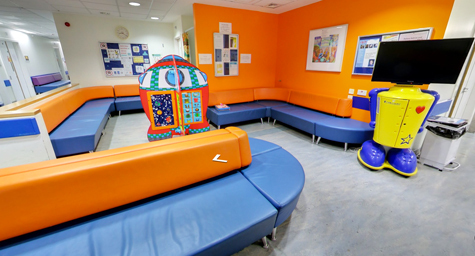 Since children with autism really can get upset and anxious about new places, the UK’s Birmingham Children’s Hospital partnered with Google and an autism organization to create a website featuring a Google Maps tour of the hospital. The tour lets viewers navigate by clicking on arrows or dragging the cursor over the screen, which is similar to the functionality of the Google Maps street view feature. The website also includes links to all of its areas for viewers who prefer to search this way. The hospital created the tour to make autistic children feel more comfortable with the hospital prior to their visit. When a hospital or healthcare system lacks the financial resources to develop 3D tours, a viable virtual alternative is using the Periscope livestreaming app. It may be less advanced than a virtual tour, but it facilitates real-time interaction between the consumer and the center. The Mayo Clinic created its Periscope account last year in order to stream behind-the-scenes tours, live events, educational discussions with Mayo Clinic specialists, and a preview of the experience to prospective patients throughout the nation. While Periscope videos vanish from the app after 24 hours, Mayo Clinic wisely uploaded the footage to their YouTube account for ongoing consumer access. See what’s happening in healthcare marketing. Contact MDG Advertising.